An elegant Scandinavian 1930's silver chest is functional for jewelry or a collector. The marble top has been polished and sealed to resist stains. 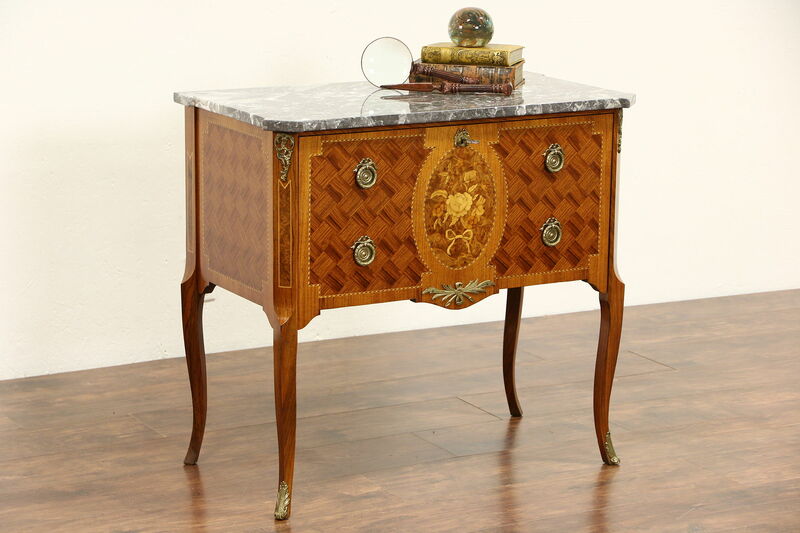 Inlaid marquetry combines rosewood, mahogany and burl, the renewed finish is in excellent condition. There are restorations to the back feet. Embossed brass hardware is original and the lock and key work on this vintage European furniture. Inside are tiny drawers and shelves. Size is 32" wide, 18" deep and 29" tall.